The author’s son, Ken, with a 10-pointer taken from a tree stand opening morning. Armed to the teeth with all the latest innovations in deer hunting, we hunters today find it almost impossible to believe we cannot see, much less harvest, any or all the deer that live in the areas we hunt. Instead, when we don’t see many deer, we are likely to believe there simply aren’t many deer in the area; when we see lots of antlerless deer, but few antlered bucks, we tend to believe the buck-to-doe ratio is all out of whack — we need more antlered bucks. And when someone we know gets big bucks, year after year, we tend to believe, unlike the areas we hunt, there must be lots of big bucks in the area where that luck hunter hunts. Actually, these three circumstances — few deer, few bucks and lots of big bucks — reflect three common degrees of hunting skill. 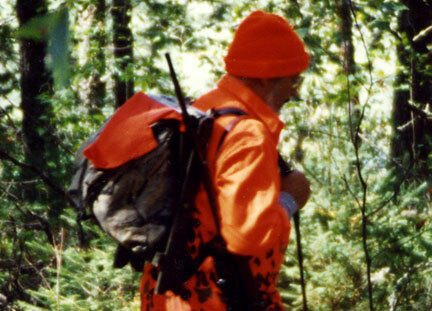 Hunters with little skill see few deer (or few unsuspecting standing or slowly moving, easy-to-shoot deer). Those with moderate skill see more deer, but few antlered bucks, especially bucks 2-½ to 6-½ years of age. Those with great skill regularly see all classes of deer, including older bucks. Especially today, following centuries of massive culling of less wary deer from our deer herds, hunting success is not a matter of how many deer or how many bucks live in our hunting areas, it’s a matter of relative hunting skill, or lack of it. If you doubt this, next time you are in the area you hunt deer, take time to measure deer tracks. Every track that measures five inches or more in length from tip through dewclaw, or 3-½ inches or more in length for hoof only, is the track of an adult buck. Doing this, you will soon begin to realize there are lots of adult bucks in the area you hunt. Why, then, aren’t you seeing them? Here’s on big reason. Each year we deer hunters devote quite a bit of time into trying to learn something predictable about whitetails, or bucks, that can be used to our advantage. Well, consider this: Which of us, the hunted or the hunter, is most predictable? 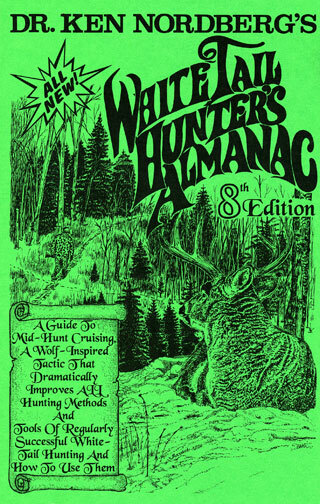 Who among us hunters considers the fact that predictability in human hunters might be the very reason it is relatively easy for experienced adult deer to avoid us? If whitetails can recognize predictability in hunters, and they certainly can, what might you be doing as a hunter that could be recognized by experienced adult deer as “predictable”? How about using the same stand site throughout the hunting season? What could be more predictable than that? How about using the stand site year after year and the same trail to get there? Though old traditional hunting methods such as still-hunting and making drives are still popular among American deer hunters, the vast majority of today’s deer hunters are stand hunters, most using elevated stands. 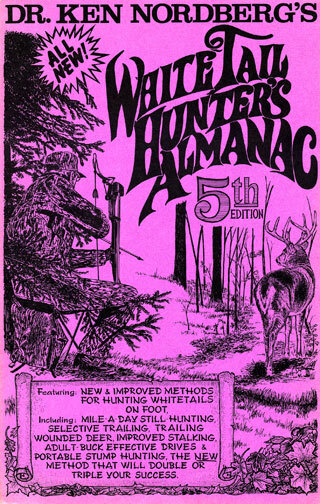 No deer hunter is more predictable than the hunter using an elevated stand, especially one who uses the same stand site and approach trail over a significant period of time. If this is true, and it is, then (I’ll be darned) “unpredictability” must be a key to hunting success (especially when super wary adult bucks are intended quarries). Don’t get me wrong. I’m not saying you should give up stand hunting, nor am I saying you should give up using elevated stands. I’m simply saying, your hunting success will improve significantly if you add unpredictability to your stand hunting. Doc wearing his portable, back-pack stool. Doc on his back-pack stool in a ground blind. 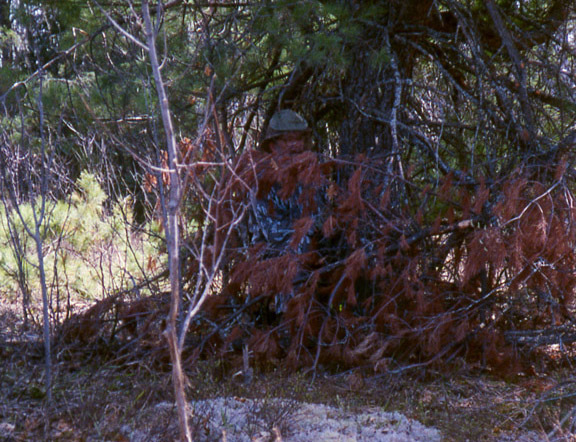 As I’ve often suggested, using a back-packed stool and natural screening cover at ground level enables the stand hunter to be optimally unpredictable because a stool enables the hunter to change stand sites with ease and silence every half-day, always able to approach from downwind or crosswind and always able to sit downwind or crosswind of a trail or site currently frequented by an intended quarry. As I’ve discovered, however, it is extremely difficult to dislodge today’s deer hunters from elevated stands. 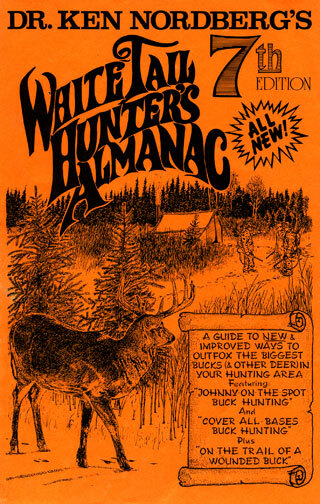 I used them myself for 20 seasons beginning in 1970, a time when all whitetails were oblivious to danger from above. Our first tree stands were permanent structures made from natural materials. An early Nordberg permanent tree stand. Later, we began using manufactured portables. Aside from being instruments of torture, every tree stand we used back then had serious flaws. Permanent stands couldn’t be moved. In the early 80’s when it was beginning to become obvious experienced adult deer were avoiding much-used tree stands, we began making more and more of them so we could move from place to place during a hunting season. 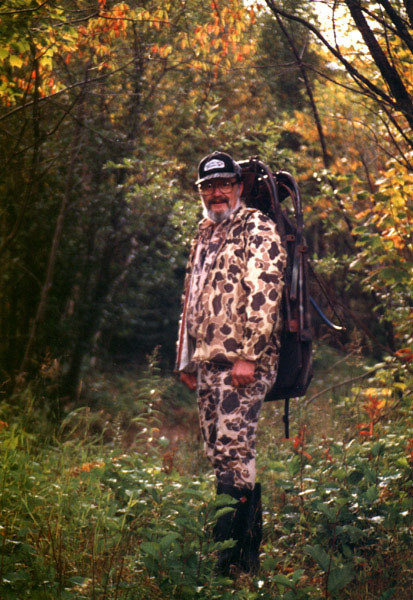 When it got to the point that we figured we needed at least three to four new stands per per person per hunting season, we threw in the towel and began using portables almost exclusively — chain-ons and climbers. 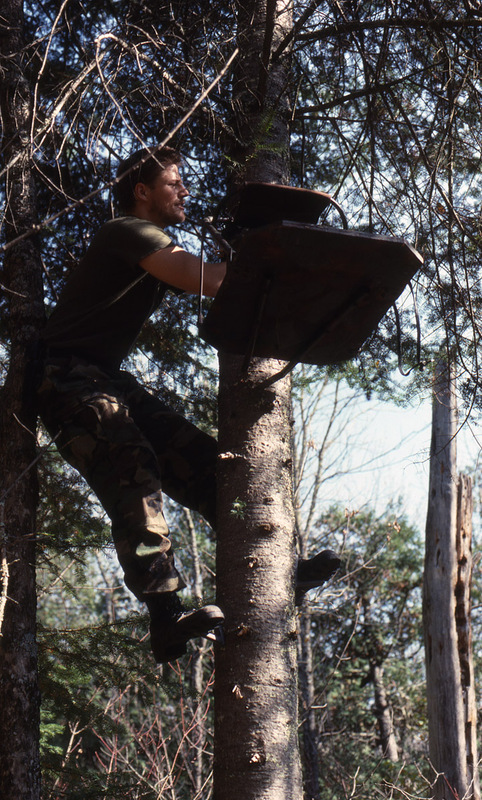 Doc demonstrating how to climb quietly using an early climbing treestand. From the factory, this model came in shiny aircraft-grade aluminum. By the time Doc was finished customizing it, it was covered with camo paint, camo tape, and numerous sound-deadening modifications. The trouble with our portables was, they couldn’t be moved to new sites without making lots of noise (metallic sounds, sawing, etc. ), thus alerting or alarming nearby deer. To gain true mobility, we began using multiple portables (I once owned 22 of them), leaving them at stand sites chosen well before the opener until the hunting season ended. Generally, however, we often found ourselves wishing we had placed our portables elsewhere. Doc’s son Ken hanging a tree stand 2–3 weeks prior to opener. These early generation tree stands used impossibly noisy chains for attaching to the tree and were notoriously uncomfortable. Attempts at moving them, unavoidably noisy, was like throwing rocks into the water where you are planning to fish. It just couldn’t be done with success. Once I discovered the extraordinary advantages provided by stand hunting with a backpacked stool at ground level, wild horses couldn’t get me back up into a tree stand. Both boys recognize the need for natural, silhouette-hiding cover up in trees, of course, and they are both very skilled at making use of it. Whereas I’m keeping an eye on what they are doing, and an open mind, I’m far from convinced advantages provided by their new tree stands outweigh the advantages provided by the portable stool. I must admit, nonetheless, it appears at least some manufacturers of portable tree stands have made significant improvements in their products. Making them silent while being carried and while being attached to a tree makes them truly portable, which in turn makes them effective deer or buck hunting stools throughout a hunting season. What this means is, with care you dedicated tree stand hunters can now also eliminate the extraordinary predictability that enables today’s experienced adult deer to avoid you. 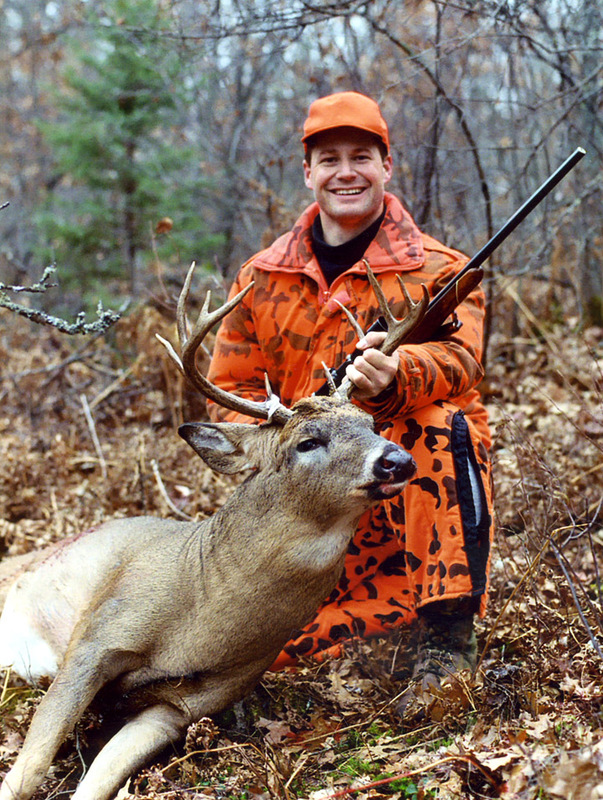 [A note from John Nordberg, Doc’s oldest son: I believe this article is historically significant for whitetail deer hunting. This article was originally published in January, 2003. 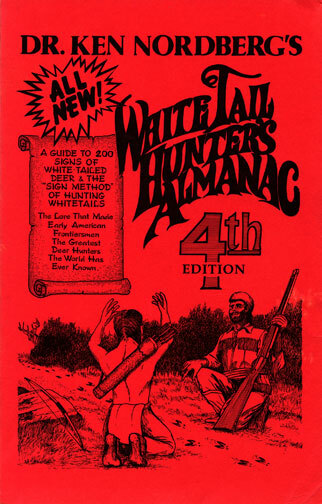 I have deer hunted under the instruction of my father for 41 seasons. Through the years, I have watched my father go through three “phases” with regard to tree stands. The first phase lasted about 2 decades. The second phase lasted about 1 decade — up until about the time this article was published. The third phase has taken place over the last decade. 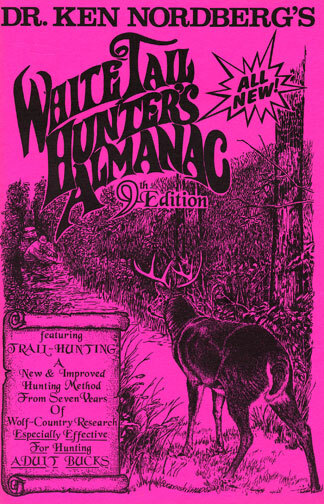 During the 10–20 year period of that first phase, tree stand hunters started going through an increasingly difficult period as our adult deer adapted to this “killer” technique. In Doc’s studies, tracks in the snow proved, without a doubt, deer had learned to avoid tree stands. I remember him showing me these loops of tracks in the snow. Loops that detoured around tree stands. Loops that had no tracks within their centers — within sight of the tree stand. At first, this was astonishing. Later, it made sense. The deer that did not adapt were killed. The deer that adapted survived. During that increasingly difficult period for tree stand hunting, Doc developed new hunting tactics — tactics that did not involve tree stands. His studies proved their benefits. It enabled us Nordbergs to still be successful at whitetail hunting while hunters in camps around us complained bitterly. Because of this, Doc went through a second phase where he became increasingly biased against using treestands. In hindsight, his new hunting tactics were so successful partly because the deer did not expect hunters to be using his new techniques — just like, initially, the deer did not expect predators to be in trees. Ponder this, if you or other hunters in your area have never hunted your local deer using back-pack portable stools and natural ground blinds, and now start to hunt them using this technique, initially, the switch your technique will likely be almost as effective as switching to tree stands was in their heyday. That is why, historically, this article is of great importance. 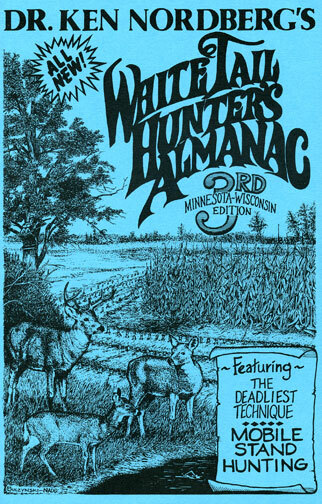 In part, tree stands were initially so deadly because whitetails did not expect dangerous predators to be in trees. Now they do. 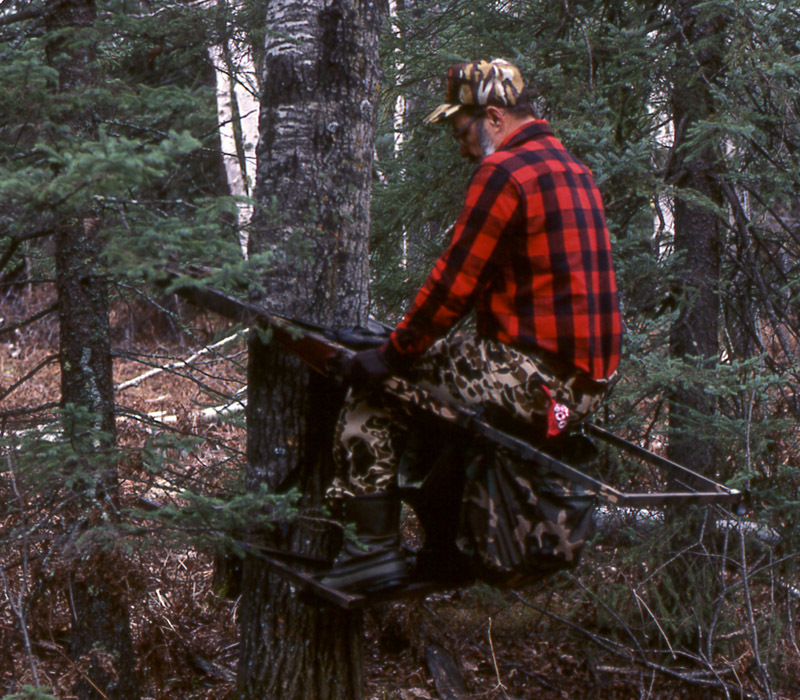 Initially, using tree stands was unpredictable — now, using them is not. Really — it doesn’t matter if you are in a tree or on the ground — you can goof up either way. If you use tree stands too much — or use a specific tree stand site too much — your deer will figure it out. If you use a particular ground blind too much — your deer will memorize its location and will habitually detour around it. When you are predictable, your deer come across your predictable scent trails and learn your habits. If you use a lure scent, or a cover scent too much — the deer learn that is an easily identifiable sign of “you.” Whitetail deer can literally learn to relate any scent to a hunter — whether it is cigarette smoke, or your favorite brand of urine. Because of all of us hunters — because of our collective hunting methods — the deer that survive pass along the knowledge they needed to survive. This is basic evolution. Our hunting area in northern Minnesota has very smart, very deadly timber wolves. Our local deer have developed and adapted because of the wolves. The deer we hunt are far more difficult to hunt than deer that live in areas where wolves are absent. In my opinion, the deer in southern Minnesota, where timber wolves are absent, are much easier to hunt than the deer in northern Minnesota. My golden retriever leaves a scent that would probably freak out the wolf-country deer. It has little effect on the deer in my back yard here in the Twin City metro area. Deer learn from their predators. That includes you. It is a fact. Partly, that is why this article is so critical. Every good hunter needs to develop their unpredictability. This is a “skill” that is required to become an advanced, trophy-class whitetail hunter. In his current phase — since roughly the time that this article was published — Doc no longer disparages tree stands. Over the last decade, has Doc often discussed the fact that using both tree stands and ground blinds is part of what makes us Nordbergs unpredictable — and successful. 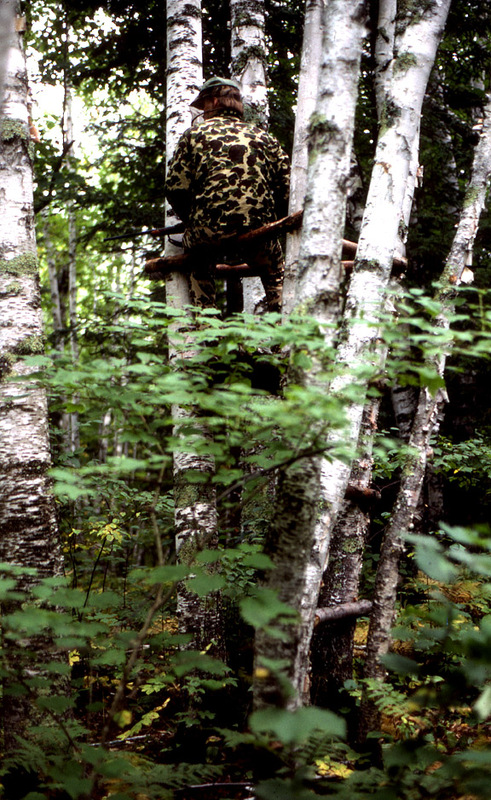 For example, my brother Ken — the most successful hunter in our group — gets about ¾ of his deer from tree stands. If you make sure that you are unpredictable, tree stands can still be almost as effective as they were in their heyday 30–40 years ago. Us Nordbergs use a combination of portable tree stands and back-packed stools — all at stand sites pre-selected 2–3 weeks before the opener. (Although — we probably have 10 times as many ground blind sites as tree stand sites.) Because mature deer learn to avoid them, we do not treat, or even consider, any stand site as “permanent” — even the natural ground blinds. This is something that especially applies to tree stands. Practically every tree stand gets relocated to a new tree, every year. On the other hand, it is trivial to simply ignore a natural ground blind that was over-hunted during the prior season. Starting with the wind direction, then the other weather conditions, and then the latest, freshest whitetail sign, there are always multiple reasons for the stand site that every hunter in camp chooses. During those 2–3 weeks after the last scouting trip, we all fantasize about our stand sites. We think about the sizes of the tracks, droppings, antler rubs, and ground scrapes. We ponder the local watering spots, the known feeding areas, the known bedding areas, the known dominant buck Rut Routes. Sometimes we ponder trail cam photos — but they rarely provide information beyond what we discover from traditional scouting. We run the wind scenarios through our minds. Then, by opening morning, we all have our “best” stand site location in mind. It is not uncommon for someone to be disappointed by a “bad” wind direction. The most important skill for tree stand hunting success is the ability to select stand site locations — based upon the best sign — at that 2–3 week point before the opener. On opening morning, both stools and tree stands are about equally effective. My estimate is, the tree stand hunters have an edge of about 60/40 over the stool hunters. During the hunt, we adjust our plans based upon fresh whitetail sign. Typically, the freshest signs are the tracks & droppings of the trophy-class bucks and their does-in-estrus. Again, we do not normally move our pre-positioned “portable” tree stands during the season. So, to react to fresh sign, stools are important. As the season progresses, mobility becomes increasingly important, and the stools become more effective. My estimate is, by the second weekend, stools have a 70/30 edge. By the second weekend of the gun season, the only productive tree stand sites tend to be the handful of ones that have not been hunted from earlier in the season. They are still unpredictable. During a few seasons, we have had tree stand sites that were unlucky and had “bad” wind directions for the entire season. Obviously, all of this is a good argument to be both a tree stand hunter and a stool hunter.